Amazon is serious about dominating the smart home market. Yesterday the company announced it will acquire mesh home router company Eero for an undisclosed amount. Eero was one of the first companies to use mesh home routers to solve the problem of inconsistent WiFi throughout the home. The Eero solution has been well received since it launched in 2016. Eero’s consistence performance is due to the fact that it is self-fixing. The devices communicate with the cloud in order to receive updates and improvements over time meaning restarts are a rare occurrence. Another reason for Eero’s success is that one router is typically not enough. Eero is sold in packs of three and according to Wired, a majority of Eero’s customers own three or more routers. However, competitors quickly took notice and companies like Google, Samsung, Linksys and Netgear also now offer their own mesh WiFi solutions. This could be why after more than doubling its valuation in 2016 at $280 million, Eero hit a down round in December of 2017. The company raised $40 million led by Qualcomm with a valuation of $215 million with totals fund raised at $148 million. Facing further valuation pressure, it isn’t surprising that Eero would welcome the opportunity to join the Amazon family. It is also a strategic move on Amazon’s part to acquire the router company. 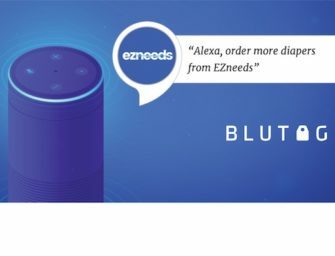 Amazon Alexa is now available on more than 100 million devices and Amazon intends to add Alexa to everything smart home to increase that number. It also needs to keep up with Nest, which is owned by Google’s Alphabet. Amazon has made several moves in recent years to not only integrate Alexa into every product imaginable but to also acquire smart home device manufacturers. Amazon purchased wireless security camera startup Blink in 2017 and more notably, video doorbell company Ring for more than $1 billion in 2018. The acquisition of Eero is a smart move for several reasons. One it gives Amazon access to Eero’s cloud data. Each Eero logs how a customer is using its WiFi, whether it’s on their iPhone, smart speaker or streaming device. (The company states it does not track what content the user is accessing). These data points could help Amazon better understand how a customer uses WiFi throughout the home to improve or develop products to fit demand. The acquisition also gives Amazon access to Eero’s connectivity technology. As more consumers cut the cord, add smart home devices and smart speakers to their home, a strong WiFi signal is essential to a positive user experience. A recent Voicebot study found that a little under half of smart speaker owners (46.7%) have more than one and could be in places where WiFi isn’t as strong, like a basement, bathroom or garage. One could see Amazon using Eero’s technology to develop Echo devices with better connectivity and to add Amazon Alexa to the company’s mesh router, similar to Netgear’s Orbi Voice device. Third, it allows Amazon to grow its smart home presence. Instead of creating smart home devices on its own, Amazon has a history of purchasing a top company in each sector and then slashing the product prices to undercut the competition. After finalizing its purchase of Ring, the smart doorbell’s retail price dropped 43%. The Eero router’s current price is in line with others in its field, starting at $199 for one device. One could see Amazon slashing the price and making Eero “Amazon’s Pick” for consumers shopping for routers on Amazon.